Phuket Thailand is one of Thailands best destinations and if you put aside the bad press it gets from Tuk Tuk scams and Indians it's still a great destination and a good stepping stone to some of Thailand's best and well known islands. If your looking for a good place to stay in Phuket then most people I know head to Patong beach. I havn't been for 15 years now so I'm more than sure a lot has changed. While I might not have been millions of others have including lots of family members who all complained how expensive it is, however Phuket as an island is still way cheaper than Australia as an island which is why it still gets hoards of tourists. This list of hotels are those that are closest to Patong beach either right beside it or simply crossing the road. The Amari Coral Beach Hotel in Patong Phuket has some really great facilities, multiple dining areas that look out at the ocean, and only a stepping stone from the beach the Amari is a great quiet area if your looking for a place to stay away from the crowds but still close enough to get to all the action. 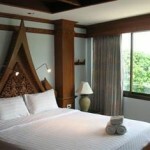 At this four star hotel you'll enjoy your memorable stay to Patong beach Phuket with some class. If you are looking for a hotel in Phuket where you can throw rocks from the hotels swimming pool to Patong beach then you can't look past the Patong Bay garden resort. Sure it's not the Ritz Carlton but a perfect budget but not too budget place to stay in Phuket. 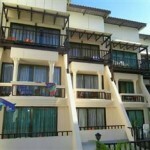 Reviewers have said that the rooms at the Patong Bay Garden Resort are clean and tidy. Being Guest friendly this hotel is great for singles and mongers alike. A good place to stay in Phuket that is clean and tidy but still cheap for those on a budget the Patong Beach Bed and Breakfast might be just the place for you. It has excellent ratings including free WiFi and computer use which is just an added benefit the best value for money place to stay on this of good places to stay in Phuket. The best part about this place is it's not only close to the beach but also close to the shopping and dining area of Patong. This is another great hotel on Patong beach that has some awesome sea view rooms for those that really want the feeling of being at a beach but still like the coziness of a comfortable room and that's what the Bliss Suite Phuket provides. If you're on holiday come on man live it up a little bit, get the Bliss Suite room that comes with a provide swimming pool! If you don't feel like going crazy then the Jacuzzi rooms look just as awesome. 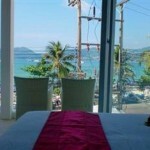 Another great hotel on Patong beach is the Avantika Boutique Hotel. For women you'll love how the hotel has it's own spa which you can get pampered like a princess for hours. This is a great hotel for couples and the security at the hotel is welcomed especially with all the bad reports you hear about Phuket Thailand. With free WiFi and only a stepping stone to the beach I hope you enjoy your stay. Located right on Patong beach the Royal Palm Beachfront hotel is a good place to holiday in Phuket, you don't have to cross the busy road to get to the beach and as long as there are no Tsunamis you should have a safe holiday. This isn't a cheap hotel but it is good value for money considering how close to the beach you are. If you've been reading my blog a while you'll know that I rave about the Baan Laimai Beach Resort, I've never stayed there but this is one place I will stay next time I head to the island. The biggest hotel pool on the island that stretches forever I don't know how you could leave the hotel, but if you do it's so close to the water it looks great. The only thing is you'd think a hotel this size would have a gym but it doesn't. For those on a budget holiday to Phuket you can't look past the Time Out Hotel, close to the beach but still very affordable and clean. I saw a few bad reviews but hey this place is 2 stars don't come staying here thinking you'll get the best treatment you want something fantastic then stay at a 4 star resort not here. Budget travellers and those who know it's budget will like it. It's only a short walk across the street to the beach. The Font Hotel Phuket looks really nice and isn't super expensive which is a bonus. 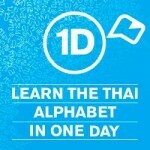 In fact their cheapest room is only $50 a night which is a deal for a hotel on the beach in Phuket. The front rooms in the hotel have great views of the ocean and a cool rooftop bar where you can enjoy a few coldies while you enjoy the view. 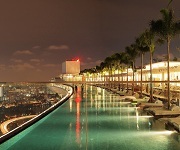 This hotel is the best recommended for price and value it's worth checking out. I honestly can't say this is a great hotel, the reviews are average and the rooms look super tacky but hey someone must stay here or they wouldn't be in Business. Probably the only thing they have going for them is that it's clean. Travellers say you must get the deluxe room in order to enjoy great views of the ocean.